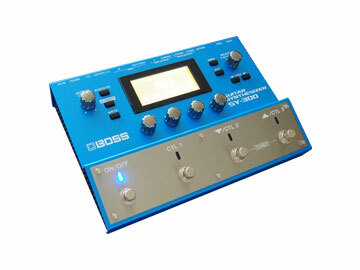 Roland Boss SY300: A guitar synth that for the first time there is nothing needed to make the guitar synth work. Does the SY-300 break the mould and do away with the GK interface? and does the SY-300 offer anything else new? I first saw the SY-300 back at the music Messe in Europe in 2015. From the outset it had captured my imagination because it uses no GK-3 interface for the guitar (or similar device) to control it. This singular fact if it works changes the way that these type of guitar units will be viewed in the future. But there must be some catch right? Many companies over the years have tried to solve this problem and every single attempt has so far been less than perfect. The GK series pickups have been around for some time and while they did work it is my view that a 'partial' tracking ability and the aggravation of fitting the interface on to my guitar was not something I ever relished. Even worse, once fitted it could be really difficult to get the unit to track properly with the synth. Let's just say that messing around over a long time it is possible to just about get the guitar to track reasonably. And in a funny way, Roland themselves confirm that with this device! Factually if the interface idea was so great why do away with it? There is only one reason; it does not work as well as the guitarist needs it to work for performance of music without a hitch. Last time I saw a device that did not need a carbuncle on the guitar to work was the Sonnus midi converter, a unit that converted guitar output to midi. That worked fine except for one omission, it was not polyphonic (it could only play one note at a time and chords simply did not work). What a pity. 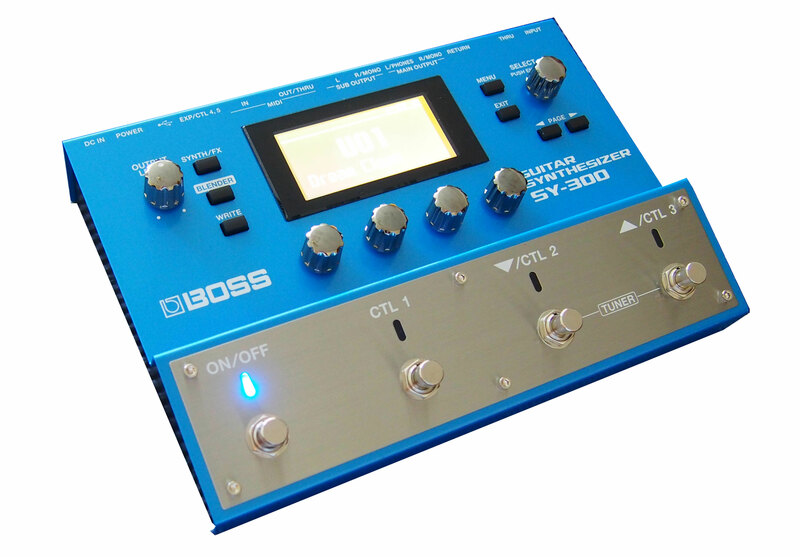 So now I have bought the SY-300 offering the ultimate in the world of guitars and synthesizers, a regular guitar directly controlling the unit with no other connection except a guitar lead! Will this thing work? From experience everything tells me that it will fail miserably, but there's always that nagging doubt whether Roland Corp. have actually achieved the unachievable and solved the problem once and for all. Find out in my inside and out review that goes in to the things that other reviewers don't. This review is currently being completed so check the news page for the latest updates.